Dr Marc Jones has a broad interest in evolutionary biology but particularly in the evolution of amphibians and reptiles. Currently he is studying the evolution of skull shape and bite force among agamid lizards. He also working with an international and interdisciplinary team of experts to uncover the relationship between skull anatomy and function more generally. This research involves using engineering software and sophisticated biomechanical models based on authentic anatomical data. A significant portion of Marc's research has involved the New Zealand tuatara (Sphenodon punctatus) as well as its diverse fossil relatives which are known from deposits worldwide - including his homeland of Wales. However, he has also conducted research on a range of living and fossil animals including frogs, lizards, dinosaurs, snakes, and sea turtles. He helped describe the largest known fossil frog (Beelzebufo from the Late Cretaceous of Madagascar) and led the analysis of the oldest known fossil relative of lizards, snakes, and tuatara, which was recovered from the Middle Triassic of Germany. Marc Jones spent many years studying and working in London before moving to Australia for a Fellowship and Lecturer position at the University of Adelaide in 2013. His fieldwork experience includes searching for fossils in Spain, China, and Scotland, as well as searching for living lizards to measure in Namibia and Australia. Marc is passionate promoter of science and education as demonstrated by his repeated contributions to public engagement events. Whilst at University of Adelaide, these contributions include leading the award winning Fantastic Plastic Reptile Skulls (#FPRSkulls) display at the School of Biological Sciences open day. This now ongoing initiative seeks to promote the greater awareness of reptile skull diversity by using attractive, accurate, and tactile 3D models. He delivered lectures and workshops in China as part of Darwin Now, a global initiative that explored the impact of Charles Darwin's remarkable legacy in the 21st Century organized by the British Council. He has also twice been an invited speaker for “Is there life after a PhD?” an annual event hosted by Cumberland Lodge (http://www.cumberlandlodge.ac.uk/), presented for Nature Live (http://www.nhm.ac.uk/natureplus/community/nature-live), and has worked as an associate trainer for Think Write (http://www.thinkwrite.biz/). Marc's education includes artistic training and he has won two international poster prizes. For many years he has been chair of the Colbert Student Poster Prize Panel for the Society of Vertebrate Paleontology. 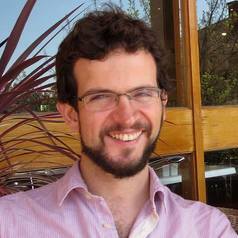 During his PhD studies (in October 2002) Marc formed a committee of eight students from four different universities and established the London Evolutionary Research Network (LERN) to facilitate greater interaction between students based in London who's research involved some aspect of evolution. During Marc's time as chairman he obtained funding from a variety of sources, built up a mailing list, contributed to the initial website, and helped organise over 20 talks from senior academics (e.g. Richard Fortey, Leslie Aiello, Andy Purvis, Janet Brown, Richard Nicholls, Adrian Lister, and Simon Conway Morris), 12 talks from PhD students, 2 student conferences, and 2 fieldtrips. After several successful committee handovers the society remains active with a continually expanding membership, and growing international reputation. In 2012 Marc was an invited plenary speaker at LERN's 10th student conference. Marc is also an honorary researcher at the South Australian Museum and associate lecturer at the Unversity of Adelaide.